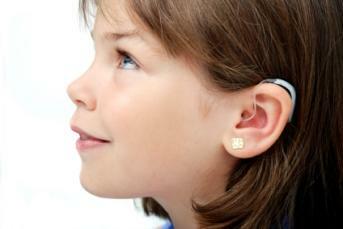 Children hearing impairment is more prevalent than you might think. In the U.S. alone, over one million children have some form of hearing loss. According to the Hear Me Foundation, over one million children under the age of 18 have a hearing loss. This statistic alone brings to the forefront the seriousness of children hearing impairment. The following statistics are also relevant. One in approximately 22 babies born in the United States has some form of hearing problem. One in every 1000 babies born in the United States experiences severe or profound hearing loss. Approximately 83 out of every 1000 children in the United States experience what is referred to as educationally significant hearing loss, which means that the hearing loss can potentially affect a child's academic performance. Not all newborns are tested for hearing impairment although it is the most common congenital anomaly. Approximately 14.9 percent of children in the United States from ages six to 19 experience a measureable hearing impairment in one or both ears. Do Children With Hearing Loss Have Developmental Delays? It is imperative that children are tested as early as possible for hearing loss. While initial tests should be performed as soon as possible after a baby is born, subsequent tests should continue to be administered, particularly if a parent suspects a hearing loss. Unfortunately, most children's hearing impairment is not identified until they have reached the age of two and beyond, and because of this, those first two critical years in which speech and language begin to develop have already been lost. Children identified with a hearing impairment as early as six months old have a distinct advantage over those children whose diagnosis has been delayed. What effect does children hearing impairment have on education? Even a mild form of hearing loss can be educationally damaging to a child. From missing key points in teacher lectures to an inability to participate in class discussions, the repercussions of an unmanaged hearing impairment can have drastic results on a child's academic achievement. In fact, children who suffer from minimal hearing loss can miss out on up to 50 percent of what is going on in the classroom, and this can drastically affect their individual performance. Not only does a hearing loss affect academic performance for children, but it can also affect their social and emotional development as well as their self-esteem. As a child continues to grow, unmanaged hearing loss can cause an increasing gap in their comprehension, vocabulary, and sentence construction, as well as other educational areas. Whether you are the parent, educator, friend, relative, or acquaintance of a hearing impaired child, there are some points you should keep in mind when communicating with him or her. Be sure you have the child's attention before attempting to communicate with him or her. If you need to capture the child's attention, do so by gently tapping him or her on the shoulder and then speaking slowly and clearly. Do not cover your mouth with your hand when you speak. Keep in mind that your facial expressions and body language can help you communicate with the child. Before talking to the child, try to eliminate background noises and disturbances which could make it more difficult for him or her to understand. If you are an educator, use visual aids to help you teach lessons and show examples of expected work. You may need to write down what you are saying as well to ensure the he or she understands what you are trying to communicate. Finally, if you suspect that your child has a hearing impairment, contact your pediatrician immediately. Document the reasons for your concern, and share those with him or her. Do not wait to get help, however, as early intervention is extremely important.